Module 1: ORGANIZE. 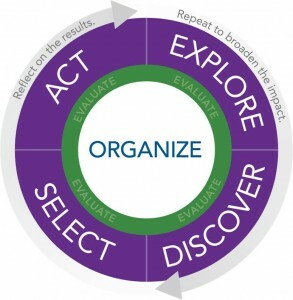 How to organize a pipeline team. Module 2: EXPLORE. How to analyze national, state, and school gendered performance and participation in STEM by comparing performance levels among schools, student populations, and programs over time. Module 3: DISCOVER. How to determine the most important and most direct causes of gendered performance gaps that can be addressed by improvement strategies and specific solutions. Module 4: SELECT. 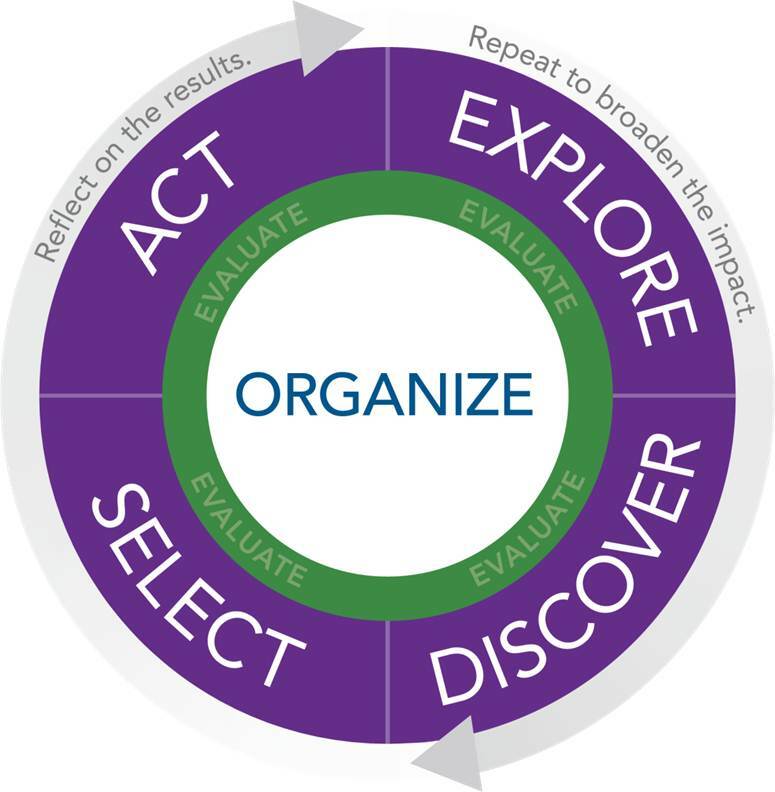 How to use the results from the DISCOVER process to align team-identified root causes with potential solutions to gendered performance gaps, including both improvement strategies and program models. Module 5: ACT. How to explore practical and rigorous methods and tools for evaluating solutions before full implementation and then develop plans to implement research-based interventions for program improvement. 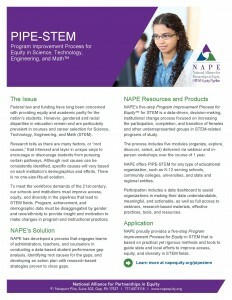 Click on image to download PDF of PIPE-STEM information sheet. Identify differences in STEM participation and performance and benchmark local STEM data with regional, state, and national data for students disaggregated by gender, race, disability and socioeconomic status. Explain the research concerning females’ and other groups’ underrepresentation in STEM fields. Implement and evaluate research-based activities and instruction that will improve females’ and other underrepresented groups’ achievement in, retention in, and completion of STEM courses. Enhance the achievement, participation and retention levels, and completion rates of diverse groups of students in STEM courses. This material is based upon work supported by the National Science Foundation under Grant No. HRD 0734056 and HRD 1203121. Any opinions, findings, and conclusions or recommendations expressed in this material are those of the author(s) and do not necessarily reflect the views of the National Science Foundation.